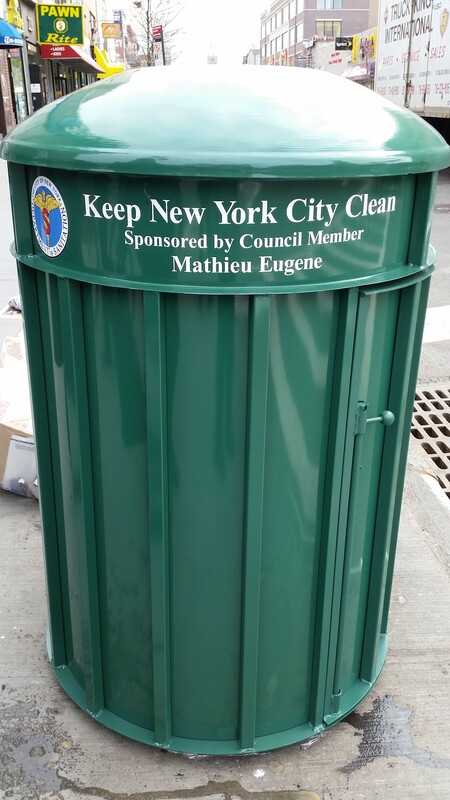 The Flatbush Avenue BID and the Church Avenue BID, are both seeking proposals for supplemental sanitation services for their adjacent business districts in central Brooklyn. The BID’s are jointly managed, but are separate legal entities. Each BID needs to receive an individual proposal. Bidders may submit proposals for one or both contracts. Proposals are due by 5:00 p.m. on Friday Feb. 3, 2017. If you have any questions please Contact us at FlatbushaveBID1@gmail.com before 4:00 p.m. on Monday, January 30, 2017. File includes Proposed Sanitation Schedules and Budget Template. 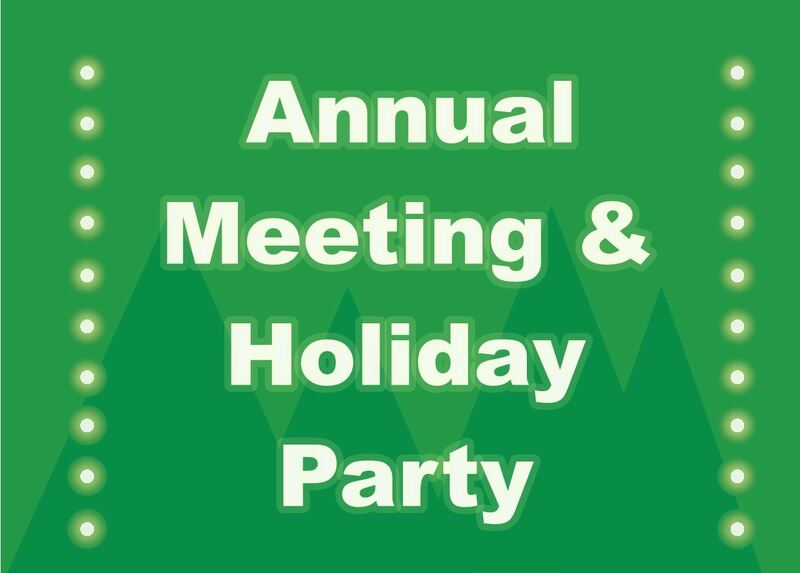 When: Tues. Dec. 13, 2016 from 6:30 p.m. to 9:30 p.m.
What:Hear what’s new for Flatbush Avenue, review the FY16 Audit, and elect Directors. Keynote speaker James Johnson-Piett, Principal/CEO of Urbane Development will speak about the upcoming project to convert the Flatbush Caton Market into the destination for all things Caribbean. Free raffle items provided by Kings Theatre and Orbit Furniture. Holiday party with delicious buffet dinner to follow! 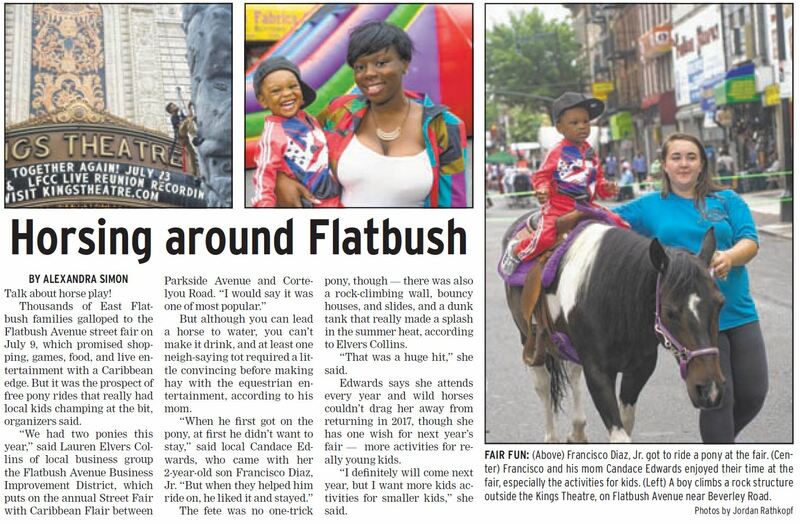 RSVP required to flatbushavebid.eventbrite.com or call 718-282-2500, x79290. All are invited to join us but to be eligible to vote, you must be registered by Dec. 1, 2016. Register to vote with this form, or contact us at FlatbushAveBID3@gmail.com or 718-282-2500, x79290. Tilden Ave. from Flatbush Ave. to Bedford Ave.
Flatbush Ave. from Tilden Ave. to Snyder Ave.
Albemarle Rd. from Flatbush Ave. to Bedford Ave. Typically, work performed by National Grid will begin with the installation of new gas pipe either in the street or sidewalk. The excavation required will be backfilled at the end of each day. Steel plates will be used to cover any excavations left open allow vehicular traffic, and provide access to driveways, steps, and walkways. The entire work area will be kept clean and orderly, and attempts will be made to keep noise, dust, and debris to a minimum. All material required on site will be stored neatly in designated areas. All or part of your gas service may have to be replaced. In order to complete this work, we must gain access to your home at the point where the service enters the building (basement, crawlspace, etc.). If this is the case, you will be contacted by a National Grid representative to make an appointment. Some excavations may need to remain open until all gas services have been transferred, at which point the old main will be retired and the openings backfilled. All street & sidewalk surfaces affected by the construction will be repaved to ensure a smooth surface. Temporary asphalt pavement will be used until all National Grid work is complete and permanent restoration can be performed. Concrete openings should be restored within 21 days, with the exception of work done in mid-winter. Some delays may occur due to inclement weather or when the temperature is too cold to pour concrete. 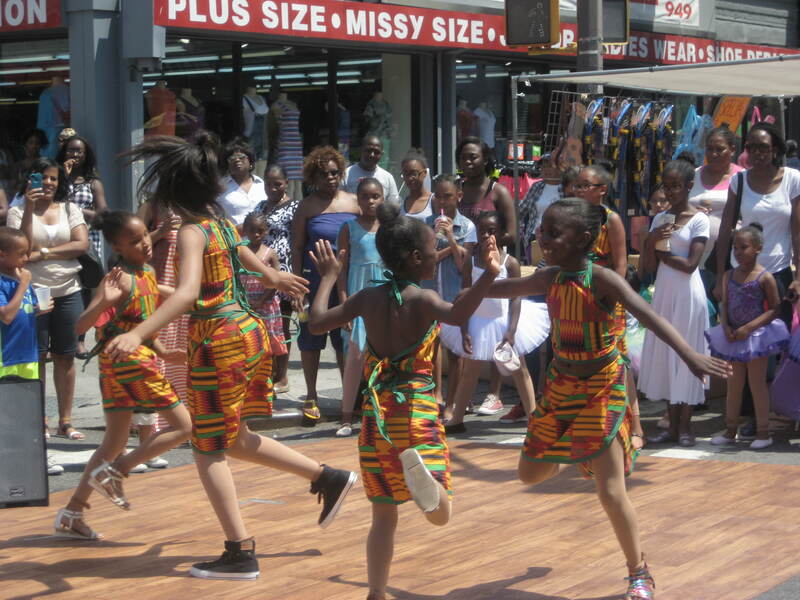 A Street Fair with Caribbean Flair: Music, Food, Rides Vendors and More! Location: Flatbush Avenue from Parkside Ave. to Cortelyou Rd. Sponsored by: MetroPlus Health Plan, Empire BlueCross BlueShield HealthPlus, Affinity Health Plan and WellCare Health Plans, Inc.
DJ & Sponsor Booth: Empire BlueCross BlueShield HealthPlus at Linden Blvd. BID Table: Raffle, Giveaways, and More! Between Martense St. and Church Ave. Win phones, headsets, and other items: at Cricket Wireless between Church Ave. and Snyder Ave. 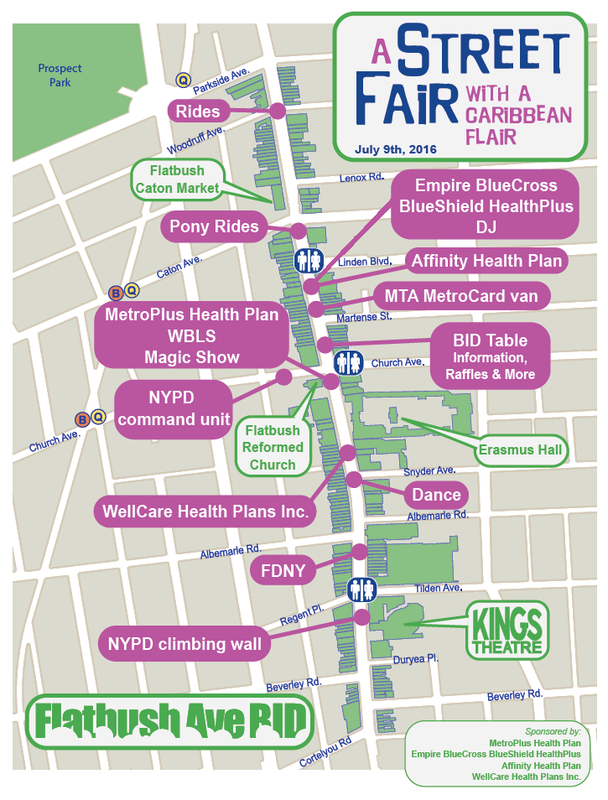 Vendors: from Parkside Ave. to Cortelyou Rd. Come to the BID Table on Flatbush Ave. off Church Avenue (near Chase Bank) to enter our free raffle! Click here for the article by Judy Messina. The 2016 Dining Guide is Here! Comments Off on The 2016 Dining Guide is Here! Flatbush and Ditmas Park’s restaurants offer great dining options – from casual to elegant and for every palette, taste and budget. Click HERE​ to access the list of dining options. Comments Off on Seeking Deputy Executive Director! The Church Avenue and Flatbush Avenue Business Improvement Districts are seeking a Deputy Executive Director to help jointly manage both BIDs under the direction of one Executive Director. This position is 60% communications, event planning, outreach, and assisting the Executive Director in managing both BIDs and 40% administrative and grant management. The work environment is creative, professional yet relaxed, and the work is constantly changing. The ideal candidate would be as comfortable representing the BID to our members at public meetings as he/she is stuffing envelopes for mailings. This is a two person nonprofit and the bulk of administrative tasks will be handled by the Deputy ED although some of these tasks are shared with the Executive Director. In the future, we may have an intern to assist with administrative tasks who would be trained and managed by the Deputy ED. The BIDs have a relationship with nonprofit CAMBA under which the BIDs are provided with Fiscal, HR, IT, and Legal Services minimizing our work in these areas and allowing both BIDs to function as larger organizations than a typical two-person operation. Salary commensurate with experience with excellent benefits. •	Assisting in management of both BIDs under guidance and direction of Executive Director. •	Distributing marketing and other materials to property owners, merchants, and other stakeholders; forming relationships with BID members and gaining familiarity with both Districts. •	Maintaining, tracking, and preparing paperwork to ensure that both BIDs are in compliance with governmental and funding requirements. •	Monitoring street conditions and business issues in both BIDs and tracking vacancies involving walking the lengths of the Districts; following up on relevant issues as they arise. •	Coordinating meetings for Board of Directors including sending out notifications, following up with phone calls, taking notes at meetings, and preparing meeting Minutes. •	Planning, recruiting, assisting in budgeting for, and coordinating events such as street fairs, graffiti clean-up day, public meetings, concerts, and holiday programming, among other possible events; helping design and implement giveaways and raffles. •	Assisting with funding applications; preparing reports and paperwork for funders. •	Creating and distributing publicity materials, along with the Executive Director, including creating Facebook and Twitter updates and event listings, press releases, and email blasts and implementing website updates. •	Conducting research (in areas such as city regulations, property ownership, vendor prices, etc.). •	Tracking outreach, communications, events, and business issues in online project management templates. •	Basic administrative tasks (scanning, copying, stuffing envelopes, etc.). •	Recruiting and managing interns. •	When ED is not available, occasionally representing BIDs at public events, community meetings, governmental meetings, etc. •	Other duties, as needed, in all above areas. •	Be a part of a creative, supportive team where innovative ideas and suggestions for improvements are welcomed. •	Serve a diverse community of property owners, business owners, and visitors in a quickly growing section of Brooklyn. •	Gain hands-on experience managing and implementing public events, fundraising, small business assistance, and volunteer recruitment projects among others. •	Help guide and assist with upcoming District improvements, the City’s community planning initiatives, and incoming development projects. •	Participate in BID-funded or free trainings in related areas upon Executive Director’s approval. •	Interest in working as part of a two-person team while maintaining ability to work independently with minimal supervision. •	Background in business improvement districts, economic development, small business assistance, communications, and/or nonprofit management a plus. •	Undergraduate degree and/or Masters degree in related field preferred but not required. •	Ability to effectively handle shifting deadlines and priorities and to juggle multiple tasks and projects simultaneously. •	Attention to detail and meticulous follow-through. •	The ability to build relationships with people from a variety of backgrounds and cultures. •	Solid computer skills, including Microsoft Office (Word, Excel) required; experience using Outlook, PowerPoint, SmartSheet, WordPress, and Vertical Response, a plus. •	Basic graphic design and website management skills or the willingness and ability to learn these skills (Publisher, WordPress, etc.). •	Availability to work occasional evenings or weekends to attend and/or staff meetings and community events. •	Contact information for 3 professional or academic references. The above should be sent to Lauren Elvers Collins, Executive Director, Church Ave. BID and Flatbush Ave. BID, 2211 Church Ave., Room 201, Brooklyn, NY 11226 or by email to Laurenc@churchavenue.org (if emailed, please state “Deputy ED Position” in subject line. Please, no phone calls!